In a year that has seen the continuation of a multi-million-pound refurbishment across the hotel and estate to enhance the guest experience and celebrate Gleneagles’ rich heritage and naturally beautiful location, this latest accolade from leading UK magazine, Golf World, underlines the ongoing progress made under new owners, Ennismore. “The Dormy Clubhouse is already a firm favourite with our golfing guests who play 75,000 rounds each year at Gleneagles. We opened the new Auchterarder 70 Bar, within The Dormy, to critical acclaim last year and we look forward to bringing a new, very special atmosphere to the wider Clubhouse when work concludes in spring 2018,” added Gary. 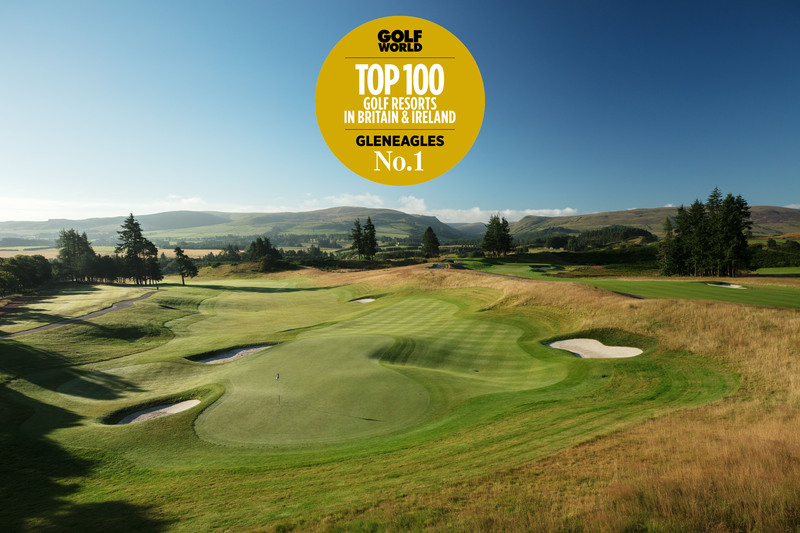 In addition to its ‘No.1 Golf Resort in Britain & Ireland’ status, Gleneagles’ roll call of 2017 accolades includes being voted ‘Best Golf Resort in the World’ for sixth consecutive year at the Daily Telegraph/Ultratravel Awards; becoming ‘Best Hotel/Resort in Scotland’ for a fourth consecutive year, thanks to readers of Today’s Golfer Magazine; and winning a trio of gongs at the Scottish Golf Tourism Awards – ‘Best Golf Experience’, ‘Best Pro Shop’ and ‘Best Large Hotel’. Gary Silcock, Director of Golf, concluded: “Whilst the team at Gleneagles is incredibly grateful to receive such important recognition from industry experts and the general public, we remain focused on continuing to deliver a truly world-class experience for every guest and member. In 2018, all three 18-hole golf courses at Gleneagles will stage major events. The PGA Centenary Course will host the inaugural European Golf Team Championships; the King’s Course will welcome the 100th playing of the Scottish Stroke Play Championship, and the Queen’s Course will see the second PING Scottish Mixed Championship.